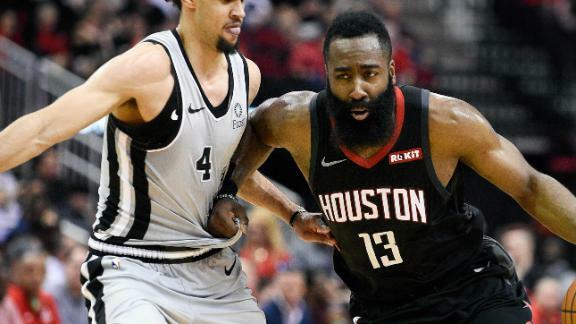 James Harden lit up the San Antonio Spursfor 61 points on Friday, matching his career high as well as theHouston Rockets' franchise record in a 111-105 victory. 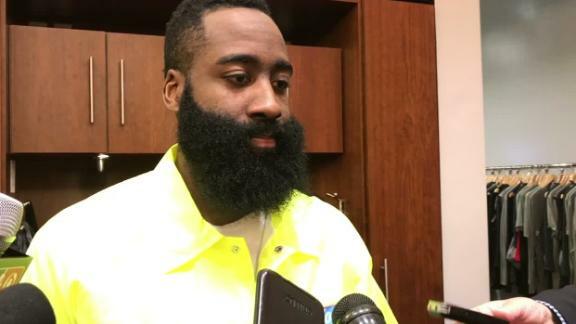 Harden's 61 points were the most ever scored against the Spurs, bestingKyrie Irving's 57 points against themin 2015. 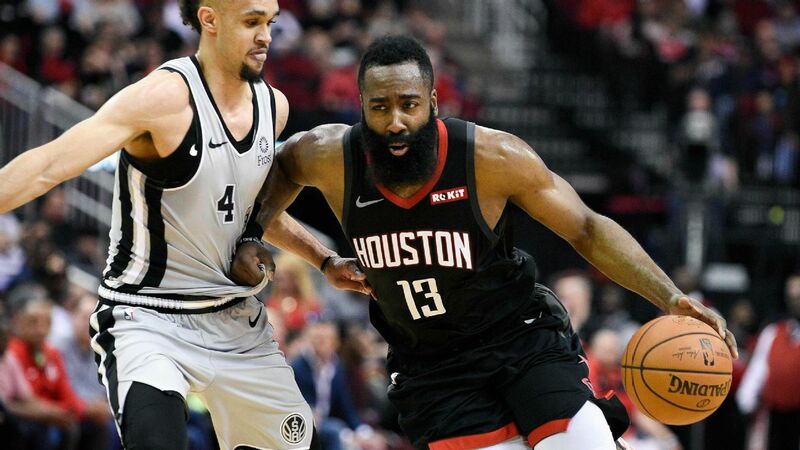 James Harden catches fire early, dropping 27 points in the first quarter and continues to carry the Rockets with three-consecutive 3s in the fourth to top the Spurs 111-105.